When she stopped using the kiddy toothpaste and started using the adult one, she complained that it was “too minty”. I ignored her complaints because clearly she was used to bubble gum flavored anything would be “too minty” in comparison. She rarely if ever flossed because she complained that it was “too much work”. And, using mouth wash was a losing battle. What I failed to realize was that she needed a line of products that SHE liked. It’s important for us as parents to teach our kids good oral hygiene especially when they are tweens and still developing their habits. Another great reason to focus on oral hygiene is the development of self-esteem at this age. Research shows that there is a link between a person’s confidence and their oral health. I know I definitely have felt more confident about my smile since I started using the Crest products. And, as our tween enter the dreaded teen years nothing is going to help them through it all more than strong self-esteem. Take the time to help your tween find a line of products that works for them. P&G Oral Care offers a comprehensive line-up of toothpastes, rinse, toothbrushes and floss and provides consumers with innovative, targeted solutions designed to meet specific oral care needs, including the Crest 3D White, Crest & Oral-B Complete and Crest Pro-Health product portfolios. For more information visit: http://www.crestcomplete.com/ (ENG) or http://www.crestcomplete.com/es-US/home/ (SPA). 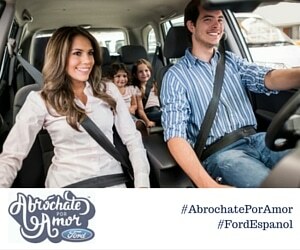 Help them find them find the winning smile that you love so much! Please see official rules below. Disclosure: I wrote this review while participating in a test drive campaign by Latina Mom Bloggers on behalf of Crest and Oral-B and received product samples to facilitate my candid review. Latina Mom Bloggers sent me a promotional gift to thank me for taking the time to participate. However, all opinions expressed are my own. The “Crest Complete Deep Clean Prize Pack” (Giveaway) is sponsored by Los Tweens and Teens and Crest (“Sponsor”) . The Giveaway is governed by these official rules (“Official Rules”). By participating in the Giveaway, each entrant agrees to abide by these Official Rules, including all eligibility requirements, and understand that the results of the Giveaway, as determined by Los Tweens, are final in all respects. The Giveaway is subject to all federal, state and local laws and regulations and is void where prohibited by law. The Giveaway will be supported through Los Tweens Facebook Page (www.facebook.com/lostweens). The Giveaway will consists of a “like” and comment posting on the Los Tweens Facebook page and the Crest Facebook page. The Giveaway entry period begins at 12:00 p.m. EST on August 16, 2012 and ends at 10:00 p.m. EST on August 30, 2012 . Open to legal residents of the fifty (50) United States and the District of Columbia, 18 years or older at the time of entry and who have a Facebook account prior to the time of entry. Entrants must like Los Tween’s Facebook page (www.facebook.com/LosTweens) and Crest’s Facebook page (www.facebook.com/crest) and post a comment on each to be eligible to win. Do not participate in the Giveaway unless you meet the eligibility requirements. “Like” Los Tween’s Facebook page (www.facebook.com/LosTweens) and Crest’s Facebook page and post a comment on each beginning on May 11, 2012 at 12:00 p.m. and ending on May 15, 2012 at 10:00 p.m. EST. Limit one (1) entry per person and/or Facebook account for the Giveaway. If an Entrant is found to be entering with more than one Facebook account, all entries submitted by Entrant will be voided. DRAWING AND WINNER NOTIFICATION: Winners will be selected randomly on August 31, 2012 using an online randomization using www.random.org. Winners must meet all eligibility requirements. Odds of winning depend on the number of eligible entries received. Potential winners will be notified via Facebook Direct Messaging and will be asked to confirm. Failure to complete the form within 48 hours will result in disqualification and a new winner will be drawn. Winners may not substitute, assign or transfer a prize or redeem a prize for cash. Winners agree to comply with all applicable terms and regulations in connection with the prize. The winner is solely responsible for all other costs and expenses. ALL FEDERAL, STATE AND LOCAL TAXES ASSOCIATED WITH THE RECEIPT OR USE OF ANY PRIZE ARE SOLELY THE RESPONSIBILITY OF THE WINNER. Los Tweens and Teens, LLC reserves the right in its sole discretion to disqualify any entrant who is found to be tampering with the entry process or the operation of the Giveaway; to be acting in violation of these Official Rules; or to be acting in an unsportsmanlike or disruptive manner, or with the intent to disrupt or undermine the legitimate operation of the Giveaway, or to annoy, abuse, threaten or harass any other person. 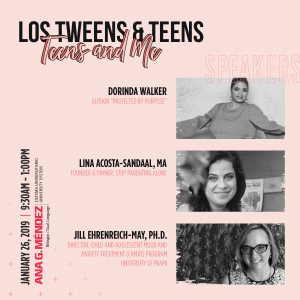 Los Tweens and Teens, LLC reserves the right to seek damages and other remedies from any such person to the fullest extent permitted by law. Sponsor reserves the right to terminate or modify the giveaway without prior notice at any time, to terminate the giveaway, in whole or in part, or modify or suspend the giveaway for any reason. By entering the promotion, each entrant agrees to indemnify, release and hold harmless sponsor and its parent, affiliate and subsidiary companies, advertising and promotional agencies, and all their respective parent corporations, affiliates, officers, directors, employees, represenatives and agents and each of their respective affiliates, representatives, employees, from any liability, damages, losses or injury resulting in whole or in part, directly or indirectly, from that entrant’s participation in the promotion and acceptance , use or misuse of any prize that may be won. Sponsor and its parents, subsidiaries, affiliates, advertising and promotional agencies, and all their respective officers, directors, employees, representatives and agents disclaim any liability for damage to any computer system resulting from access to or download of information materials connected with the promotion. This entry was posted in Ideas and tagged Health, padres, Parenting, parenting advice, parenting ideas, Parenting Tips, Tweens. Bookmark the permalink. I like Los Tween on Facebook! I like Crest on Facebook. 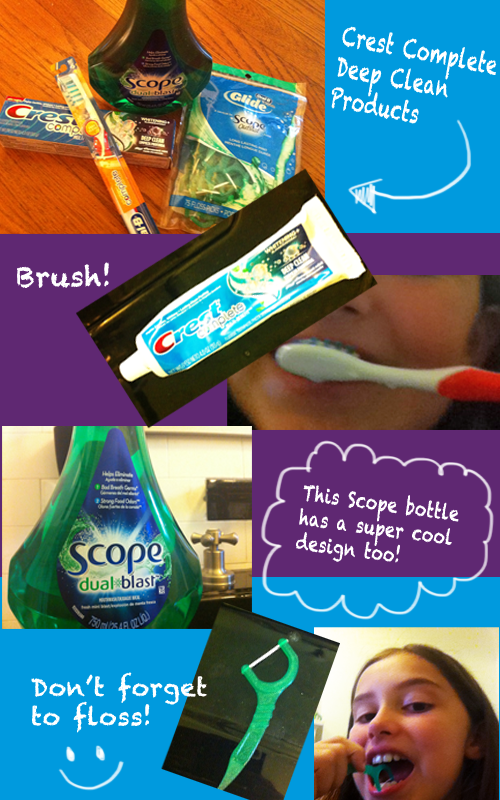 I have two tweens in the house and will have to check out these Crest products for them. I just nagged my son this morning about brushing his teeth and good oral hygiene. It would be nice if it became automatic for him. Quite tough place for you to tackle (recruiting). Many possess experimented with, most have been unsuccessful. Music addiction works as a surrogate for misplaced human bonds. Music can pierce one’s heart directly; it needs no mediation. Regular Tech House mixtapes posted each and every Wednesday. Hear us out on AudioMack.